Just over 100 people gathered at the Cathedral Church of St Paul June 12 for a wonderful celebration honoring all the accomplishments of those completing their courses with the Whitaker Institute!! We now have new worship leaders, preachers, some ready to explore the path to ordination, some for whom ordination is just a few weeks away, and others who are excited about growing deeper in Christ!! All of these individuals have taken seriously the call to serve from their Baptismal Covenant. Resolved, that the 77th General Convention commend the Formation and Vocation Offices of The Episcopal Church in actively collaborating and serving as a resource as needed for the appropriate development and promotion of these certificate programs. 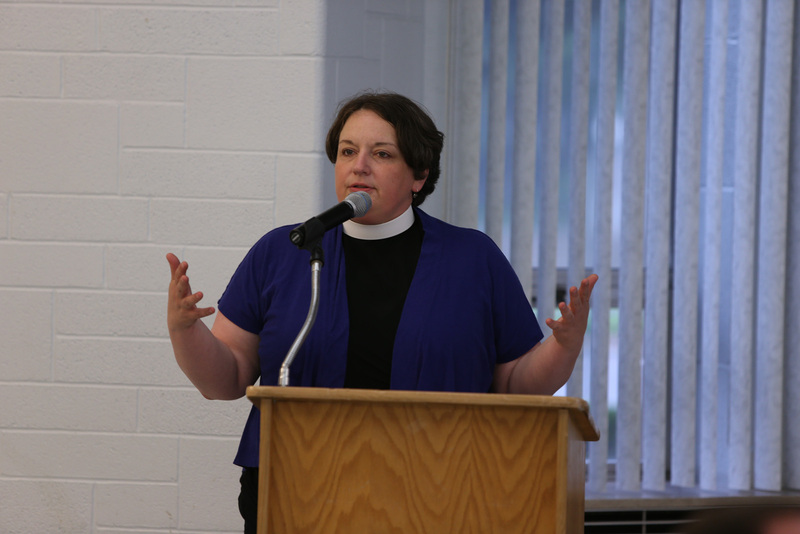 We, in the Diocese of Michigan, are very blessed to have a Bishop and his staff who have a vision for the importance of Christian Formation and we have the Whitaker Institute with its new Director, the Rev. Michelle Meech (right), who is eager to help us fulfill our call to learn that we may serve God and God’s people. Let me also direct you to the “Charter for Lifelong Christian Formation” which expresses the importance of continuing education for each of us as directed by our Baptismal Covenant. Our own congregations – speak with the rector or Ministry Support Team about resources that are available. Continuing Formation helps us to become the people that God needs us to be to proclaim the Gospel message to a world in need of God’s love!